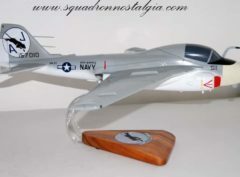 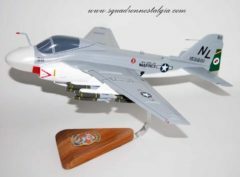 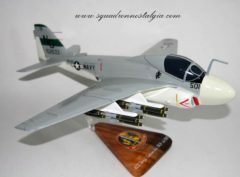 The Grumman A-6 Intruder is an American, twinjet, mid-wing all-weather attack aircraft built by Grumman Aerospace. 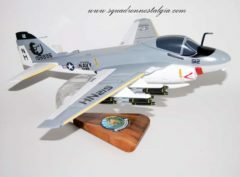 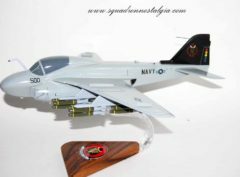 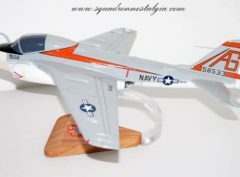 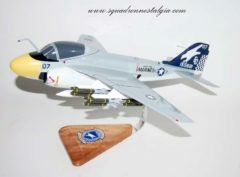 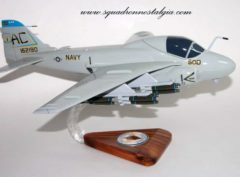 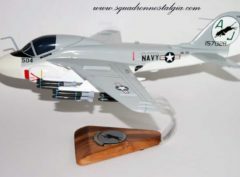 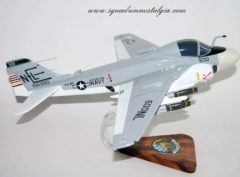 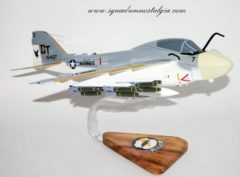 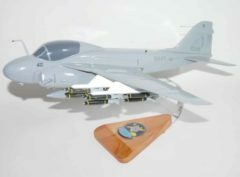 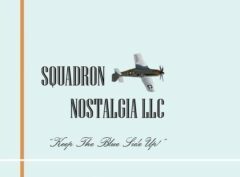 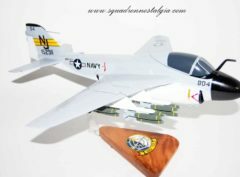 In service with the United States Navy and Marine Corps between 1963 and 1997, the Intruder was designed as an all-weather medium attack aircraft to replace the piston-engined Douglas A-1 Skyraider. 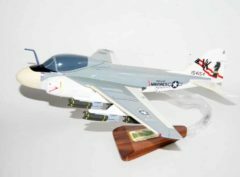 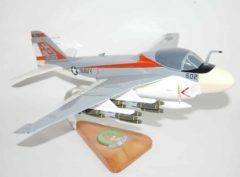 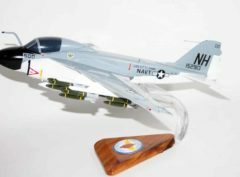 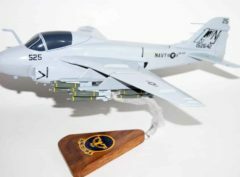 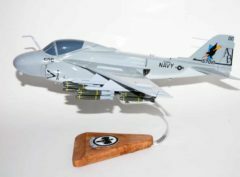 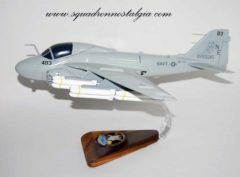 As the A-6E was slated for retirement, its precision strike mission was taken over by the Grumman F-14 Tomcat equipped with a LANTIRN pod. 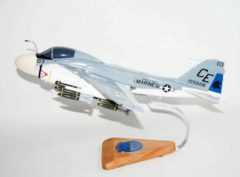 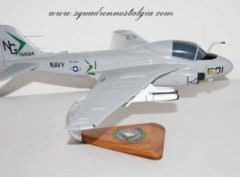 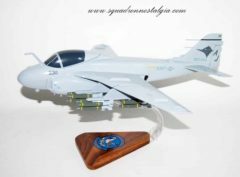 From the A-6, a specialized electronic warfare derivative, the EA-6, was developed. 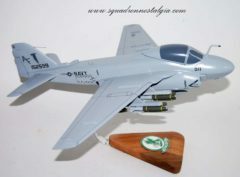 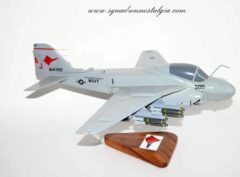 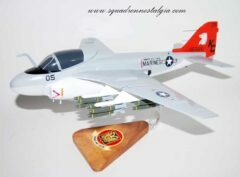 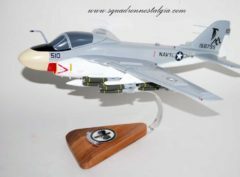 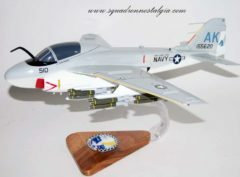 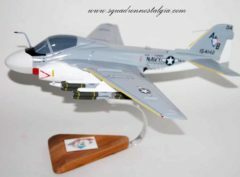 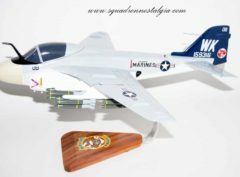 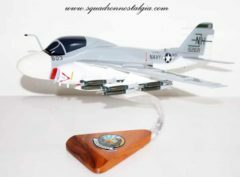 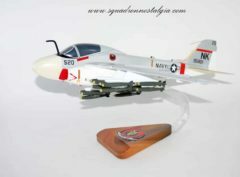 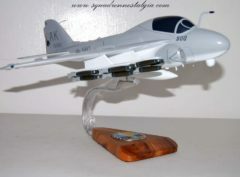 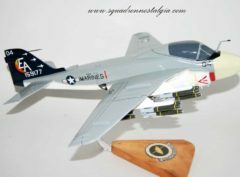 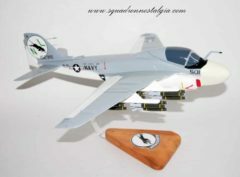 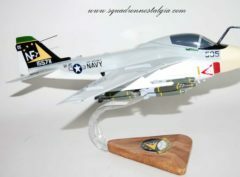 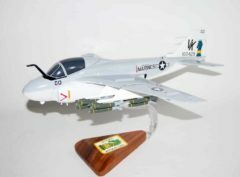 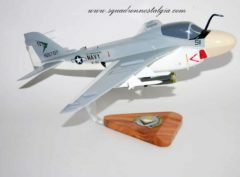 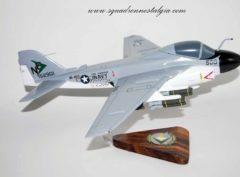 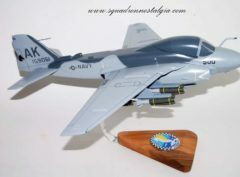 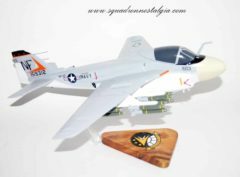 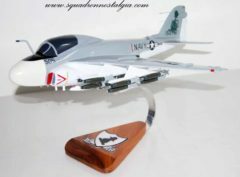 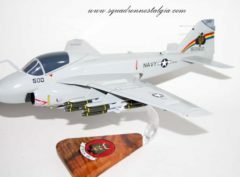 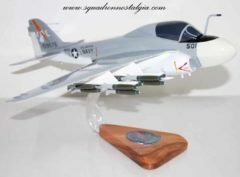 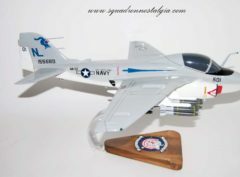 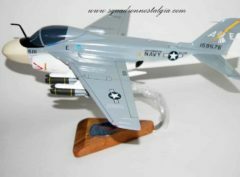 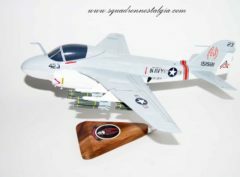 VMAT(AW)-202 Double Eagles A-6 Model Fly with the Double Eagles of VMAT(AW)-202 in this hand crafted model. 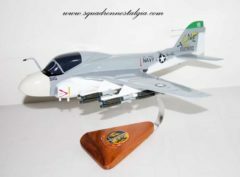 Each piece is carved from wood and hand painted to provide a piece you’ll love!